Tracking Skills - Can Struggling With This Affect Your Learning? I know that "Tracking Skills" are not a Learning Style - but they can affect your learning, no matter what your Learning Style is. And Ultimate Music Theory is here to help! Have you ever taught a student who seems to be unable to follow the line of music? When they blink or look away from their book, they lose their place on the page? If so, you may be working with a student who has not developed their Tracking Skills. Tracking Skills are used to follow a line of print by controlling the fine eye movements. These skills are especially important for reading...and playing music! It is important to understand that a child with poor Tracking Skills is not just being lazy. They truly do lose their place when blinking or when looking from the pencil to the paper. It is frustrating for them and they often react by avoiding to do the work. Some children who have under-developed Tracking Skills, or who have not been taught to develop their Tracking Skills, can be supported by using these two techniques to train the eye. 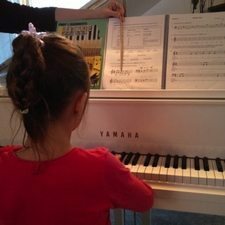 Technique #2 - When it is the child’s turn to play the exercises in their Theory Workbooks, help them train their eyes by having them POINT to the music on the page with one hand and PLAY with the other. Our eyes are meant for distance vision – the transition from looking down at the keyboard and then up to the page often requires support and training. Struggling with Tracking Skills - UMT To The Rescue! 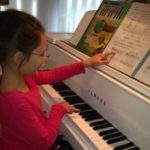 The Ultimate Music Theory Workbooks have been written to meet the needs of all Learning Styles – Visual, Auditory, Kinesthetic (Tactile) and Special Needs. Important information is written in boxes and key words are bolded. The Visual Learner will benefit from SEEING the boxes around the important sentences. The Auditory Learner will benefit from HEARING you read the words as they follow along in the book. The Kinesthetic Learner will benefit from FEELING the movement across the page. The Special Needs Learner will benefit from being supported in staying on track. The ADHD Learner will benefit from being able to quickly find "important" concepts. According to the American Optometric Association (AOA), children should have their first comprehensive eye exam at 6 months of age and again at the age of 3. An eye exam is recommended every year from the age of 5 to 19 years. 5 to 10 percent of preschoolers and 25 percent of school-aged children have vision problems. If you notice that your student is struggling with their tracking, do not hesitate to suggest that an eye exam be scheduled to rule out any problems. I am "personally responsible" for quite a few children receiving glasses, which took a lot of frustration out of learning. In my studio contract, I actually ask when a child's last eye examination was. I work with a lot of children who have slight to significant special needs. One of my favorite exercises in the Prep 1 Rudiments Workbook is found on Page 30. Helping students understand how to identify patterns in music is so much fun! For this exercise, I often trace the arrows with coloured pencils - blue for up, green for down and red for same line/same space. I love this quote from Ignacio Estrada - "If a child can't learn the way we teach, maybe we should teach the way they learn.". You CAN continue to learn! 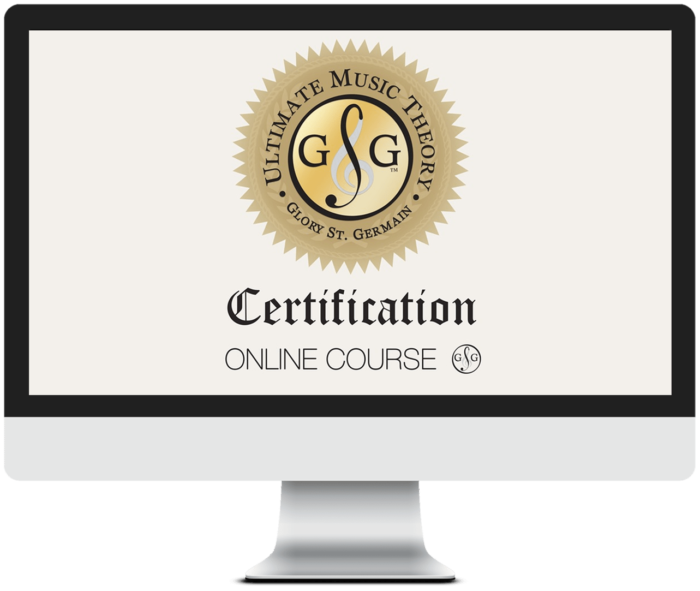 Sign up now for the Ultimate Music Theory Certification Course and learn HOW to teach children the way they can learn!